Natural Shampoo Recipes: How to make shampoo for Thinning hair. To make a natural shampoo for thinning hair, the key ingredients are essential. Argan Oil strengthens brittle hair and nails. 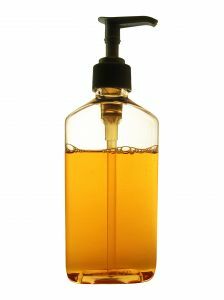 Jojoba Oil is a nice carrier additive as it's closest oil to our skin's natural oil. It's light and good for oily scalps as well. Essential oils such as Rosemary, Basil, Cypress, Peppermint, Thyme and Sage promote hair growth. Herbs for Thinning Hair such as Burdock, Catnip, Nettle, Chamomile, Lavender, Rosemary, Saw Palmetto, Thyme, Yucca can be made into a tea or infusion and added to your shampoo. Simply add chosen herbs to 2 cups boiling water and steep until your have boiled the herbs down to 1/2 cup, then add to the rest of your ingredients. 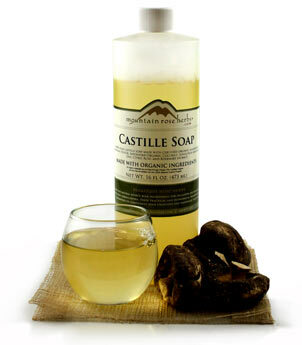 Ingredients: 1 cup of spring water, 1/2 cup of Castile liquid soap, 1 tbs coconut Oil, 1/4 cup Horsetail, 1/4 cup Burdock Root, 10 drops Lavender essential oil. Boil the burdock and horsetail in 1 cup boiling water for 45 minutes, Allow to cool then add the rest of the ingredients. Ingredients: 1 cup of spring water, 1/2 cup of Castile liquid soap, 1 tbs Jojoba Oil, 1/4 cup Catnip, 1/4 cup Rosemary, 10 drops Clary sage essential oil. Boil the Catnip and Rosemary herbs in 1 cup boiling water for 30 minutes, Allow to cool then add the rest of the ingredients.